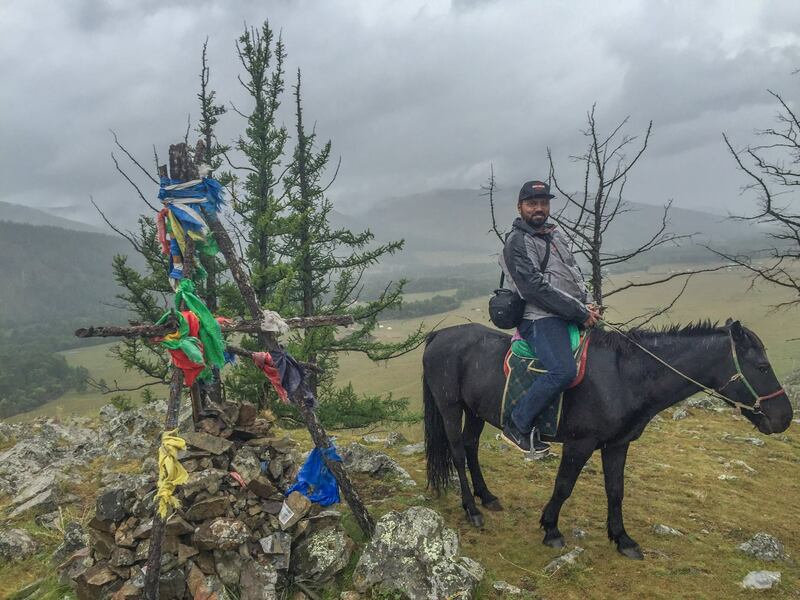 I arrived in Ulaanbaatar a few days prior to the ride to the White Lake so that I could do some of the regular tourist stuff. 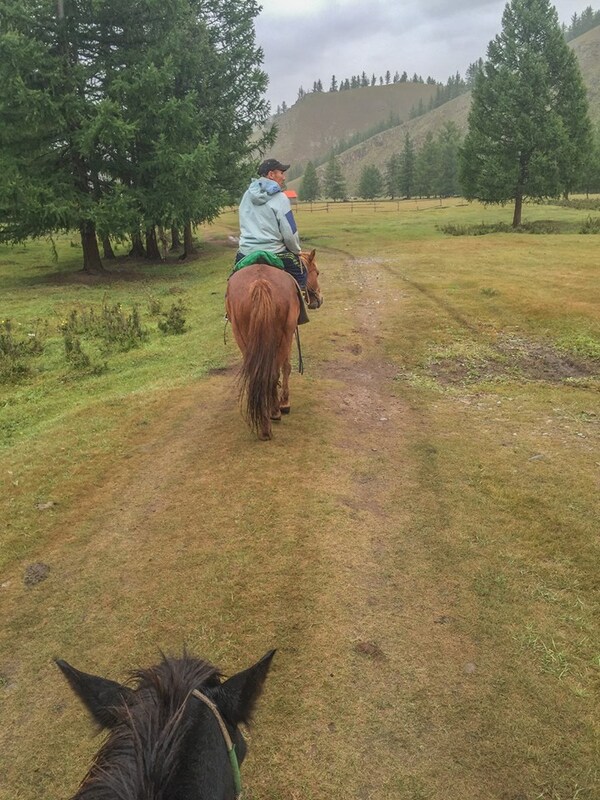 I signed up for a tour to the Genghis Khan statue and a horse ride which included lunch with a Mongolian family in their home. 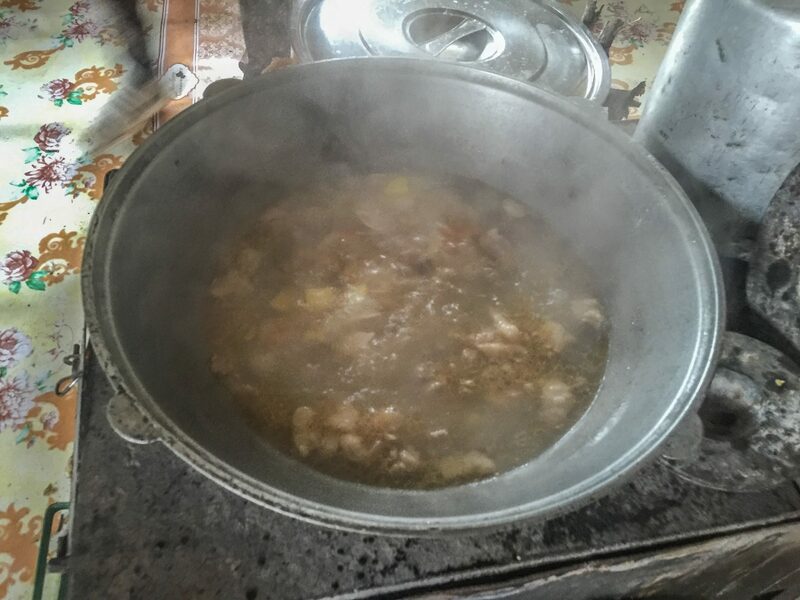 The Mongolian diet is mainly comprised of meat and diary products. 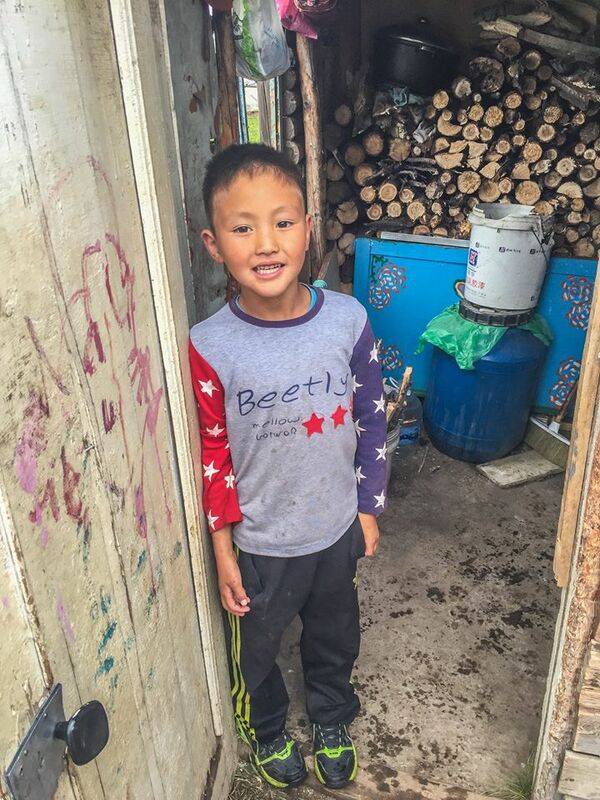 Its only in recent times that some Mongolians have started to move away from a nomadic lifestyle and settle down to indulge in agriculture. Wheat is something they have started to grow. All other food grain is imported. First I was served Mongolian milk tea. I’m not sure why they call it tea because there are no tea leaves in it at all. 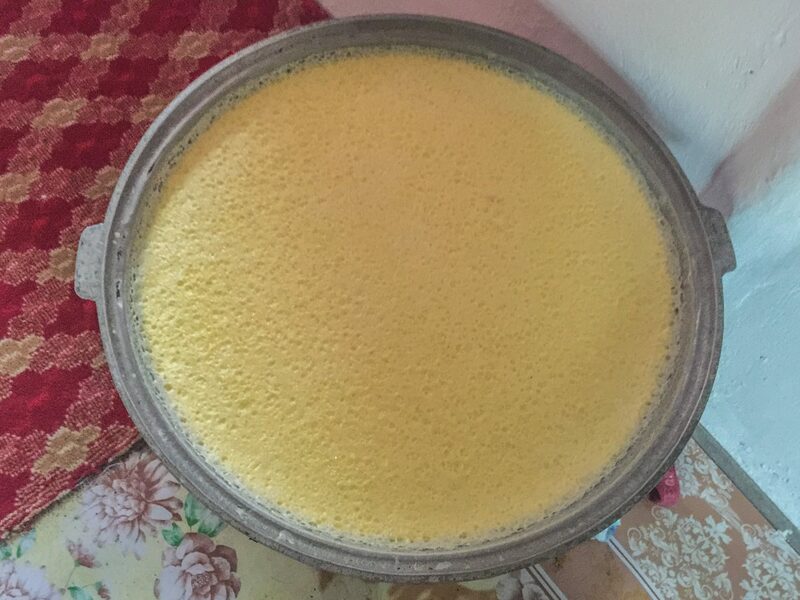 It’s basically yak’s milk diluted with water and a pinch of salt is added. Yes, salt. It tastes a little weird at first. But once you take a few sips you get used to it. 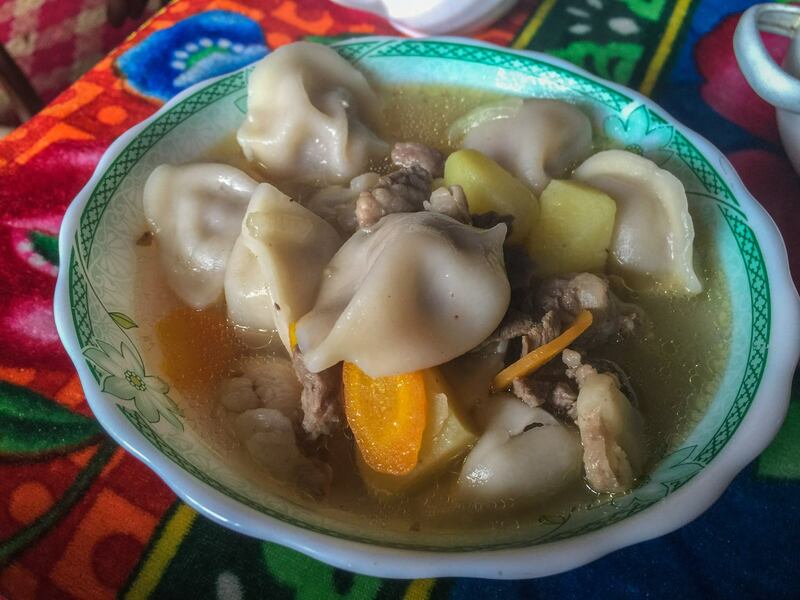 One of the more versatile Mongolian dishes is urum. It’s similar to butter and is had with other diary products. 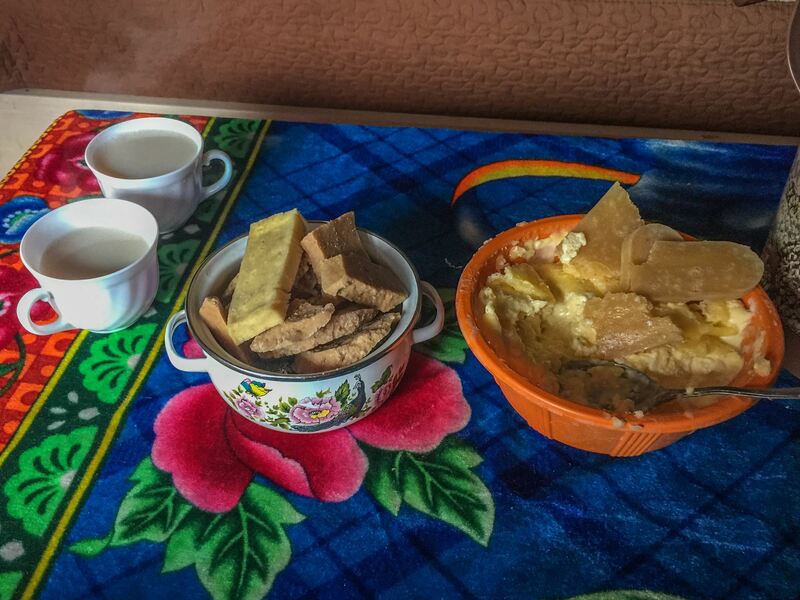 Urum is made by boiling yak’s milk and letting it stay still for a day. The top part hardens a little and is scraped off and used as butter. One of the Mongolian pastries that I tried was called boov. It is orange in color and on its own it tastes like a hard biscuit. 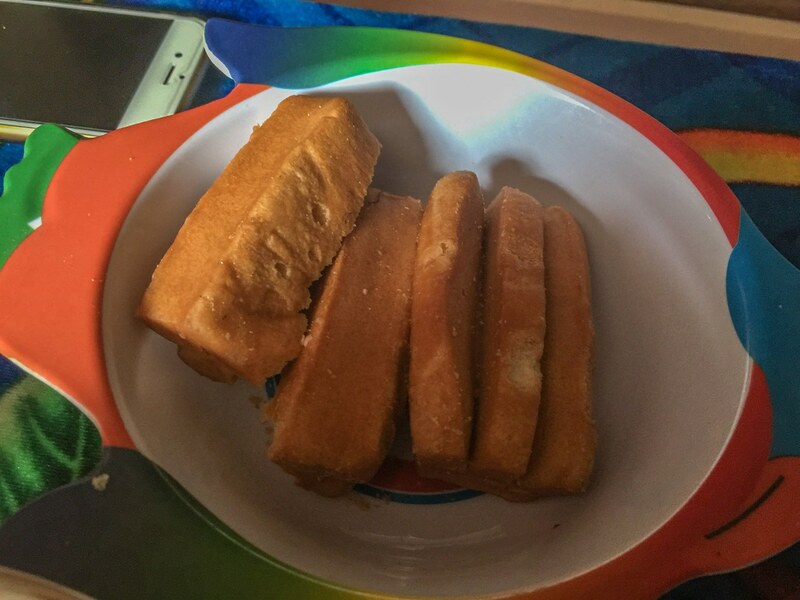 But when had with urum the combination tastes really nice. For the main course the ladies in the house prepared a soup with the most amazing dumplings I’ve ever eaten. 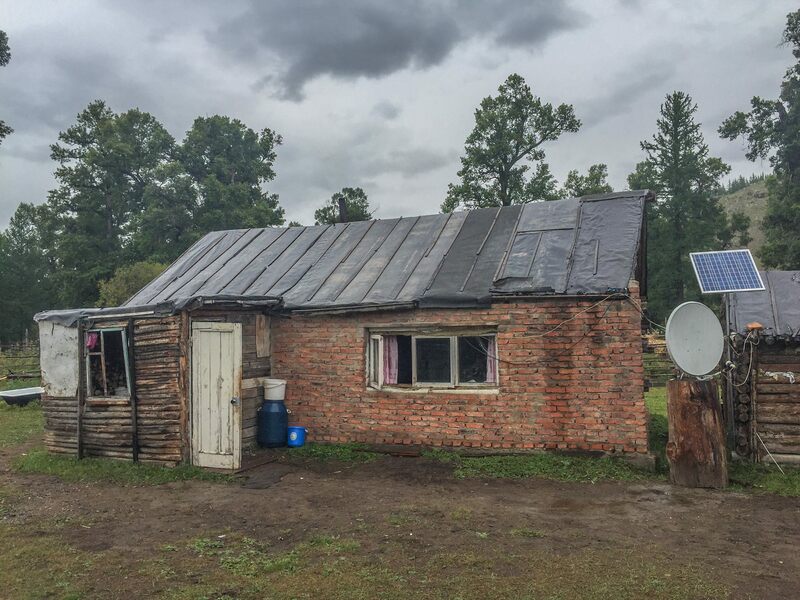 Absolutely out of this world. I’m a huge fan of dumplings and I often order them at some of the best hotels I stay in and restaurants I frequent. 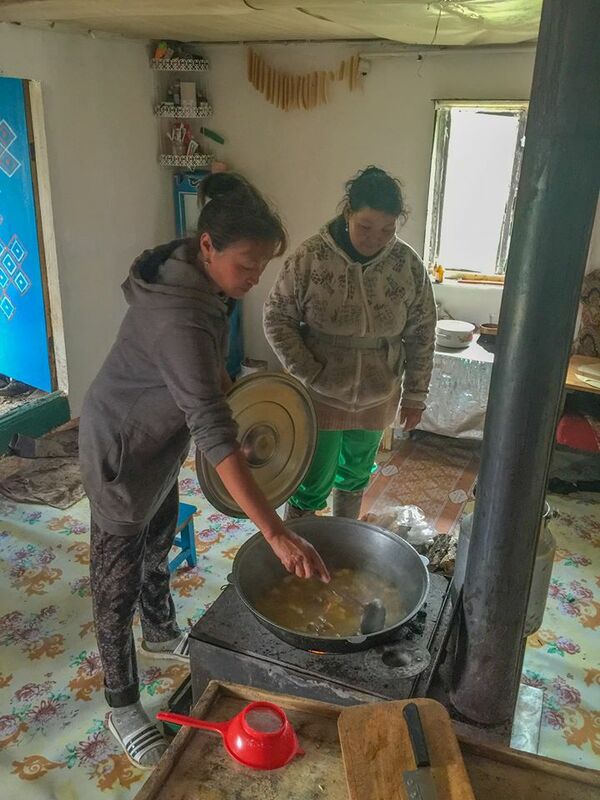 Nothing came even close to what these Mongolian ladies prepared that day. 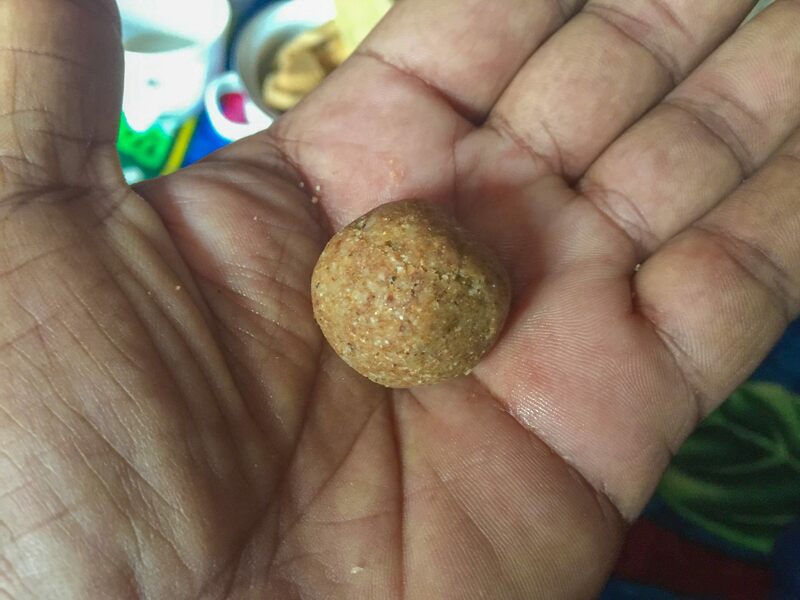 For desert I was asked to take some wheat powder, add some urum to it and roll it into a sphere like a laddoo. There was a little boy running around the house all excited and seeing me. I tried to start a sign language conversation with him, but he just help bouncing off the walls. I did manage to get a picture of him as I was leaving. 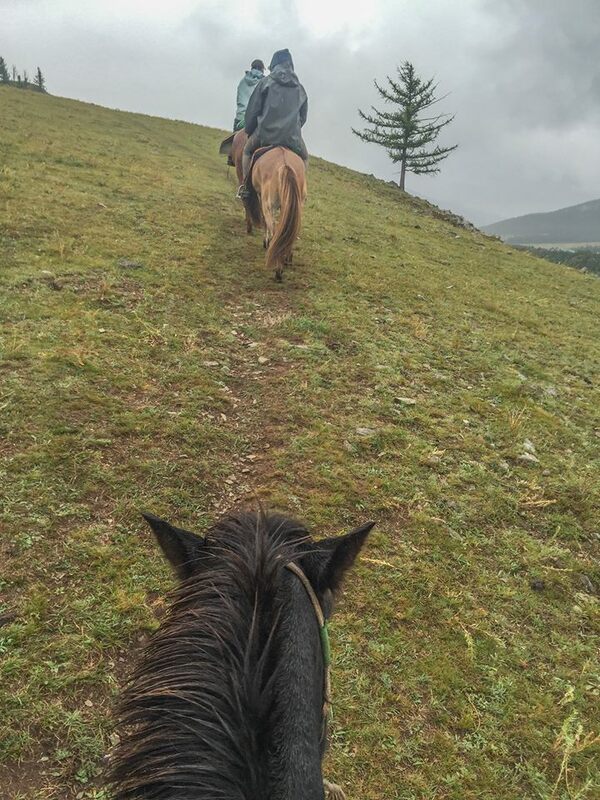 I left the home thoroughly stuffed and had to walk around a bit before I could mount the horse and go for a ride up to a nearby mountain peak.